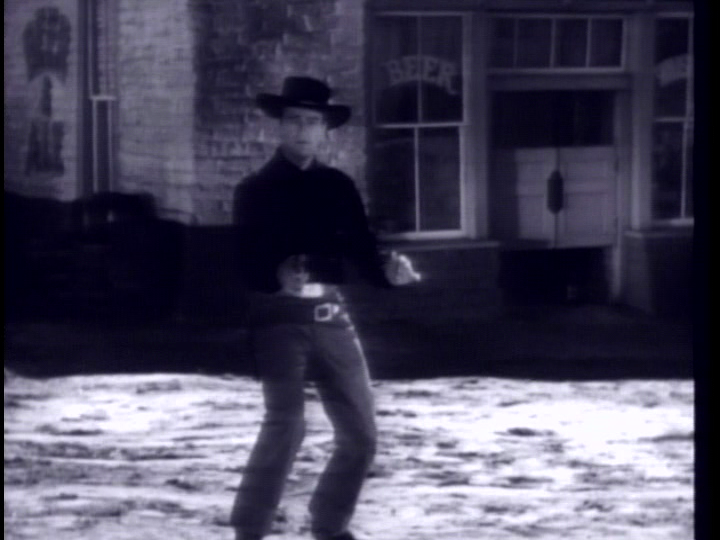 Last week, I wrote about the John Wayne film Angel and the Badman, and about John Wayne’s status as a Hollywood legend. 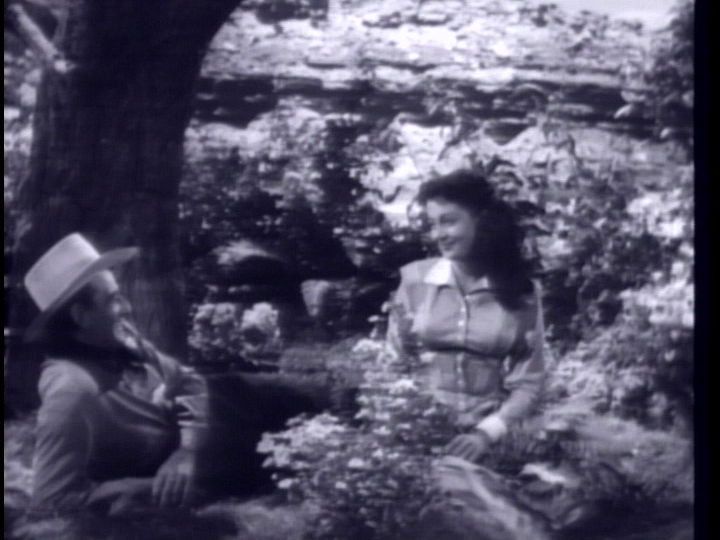 Wayne made his big breakthrough in the classic western Stagecoach (1939). The director was John Ford, and if John Wayne is the leading western actor of all time, then Ford is the leading western director. Ford’s career and legacy are described in the documentary The American West of John Ford. 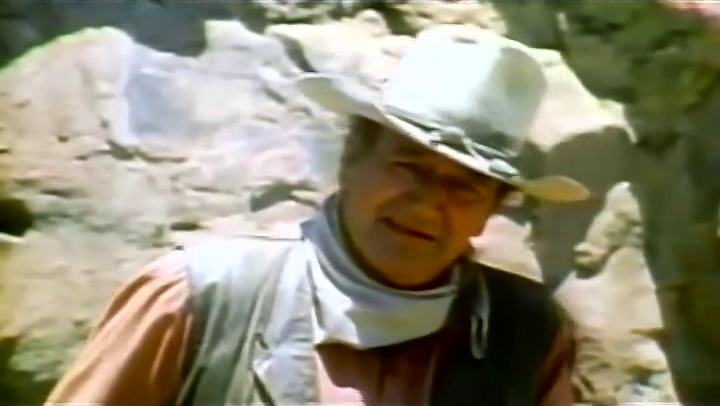 Clips from many of Ford’s films are shown in the documentary, and some more are mentioned in passing. Of all those films, the only ones that I know to be at the Internet Archive are two wartime propaganda films, namely The Battle of Midway (1942) and December 7th (1943). 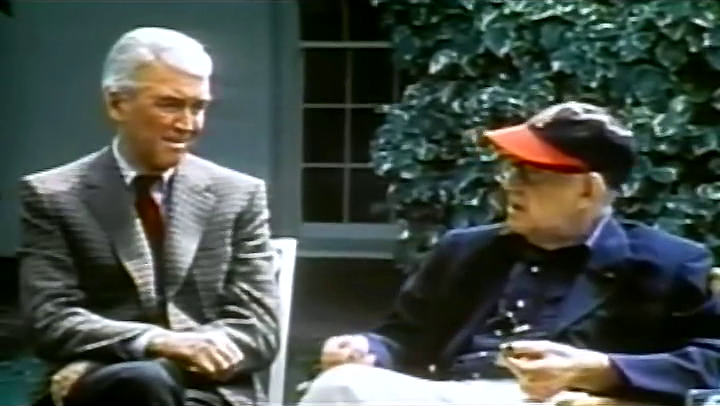 As a documentary, this is a fairly unique film, because some of Ford’s most respected leading actors, John Wayne, James Stewart and Henry Fonda, appear as cicerones, talking about Ford and also with him (Ford was still alive when the documentary was made, but died two years after its premiere). Thus, the film revolves around first-hand accounts of the legandary director, and also those of legandary actors, now gone. The documentary is nice because it tells the story in a very personal way. John Ford’s own participation is not in the traditional interview situation, but in locations where he shot some of his best-known pictures. He seems relaxed, and this is perhaps the film’s greatest strength, because we feel like we get close to him. This film is best enjoyed by western fans who want to see some of the actors and the director that were perhaps most responsible for shaping and popularising the genre in the decades following the 1930s. John Wayne. The name alone sings of legend. Few, if any, actors have become so famous, neither during their lives nor after. John Wayne started making movies in the 1920s, and he had some lead roles in the 1930s, but it was in the 1940s that he made his big break-through. He then remained among the top Hollywood names until he stopped filming a few years before his death in 1979. According to IMDb, he acted in no less than 181 films. 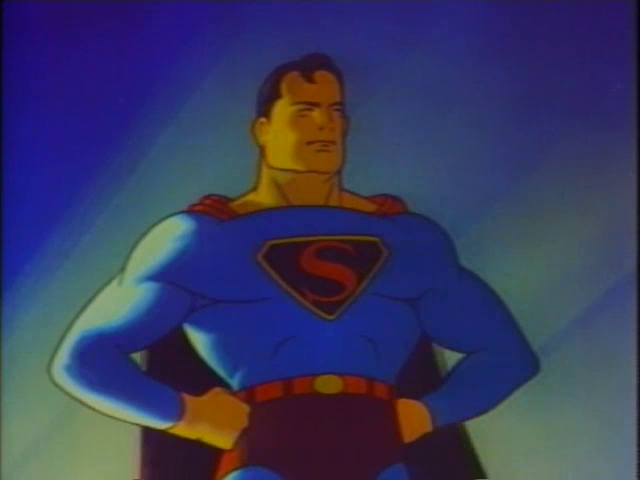 There are quite a few Wayne films available at the Internet Archive, but unfortunately most are from his early career, before he was big enough to be given only the best in terms of scripts, directors and production values. One of the few that are really good (I would not hesitate to call it an underrated pearl of Wayne’s production) is Angel and the Badman. The film is about Quirt Evans, a tough guy with a bad reputation, who does not hesitate to use violence to achieve his ends. When he becomes wounded he is taken in by a family of quakers. The daughter, Penelope, nurses him to health and at the same time falls in love with him. But their lives are completely different. Is there any way they can find common ground? Angel and the Badman has its share of clichés. It would not be a western otherwise. But in many ways it is also original and thought-provoking. Not your standard western, by any means. The ending in particular is not your typical “rode into the sunset” variety, even though it is true it has been done a few times before and since. This film is best enjoyed for its dramatic and romantic values. As an action, it falls somewhat short, in spite of a couple of nice stunts. Oh, and of course, without John Wayne it would have been completely forgotten today. A romantic comedy about a half-mad king who had his wives beheaded and divorced about as often as he changed his underwear? Sounds strange? 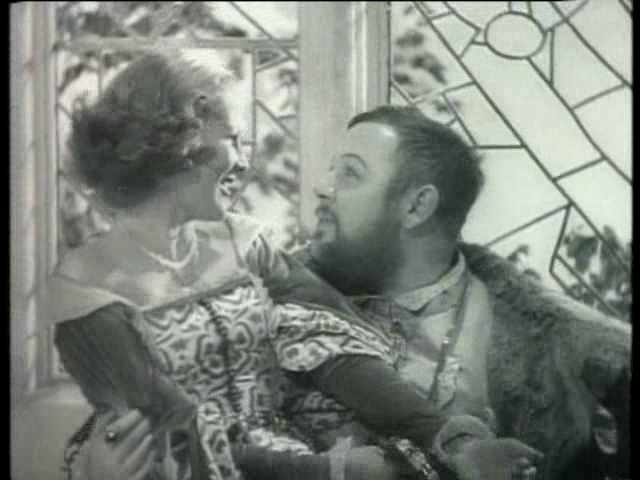 Well, it is, but The Private Life of Henry VIII is also a splendidly amusing and well-made film. Henry VIII has gone down in history for several reasons, but in popular history he is perhaps best known for his six wives. 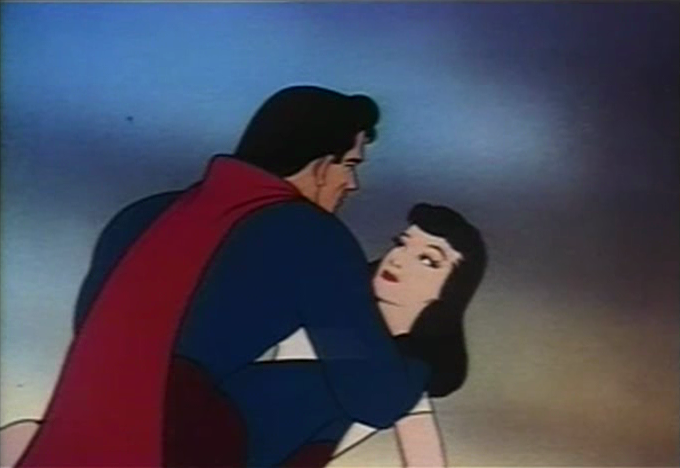 They, and their relationships with the king, form the story of this film. Well, in fact the story is about five wives, and barely that, for the first one is entirely skipped over and the film begins as the second one is about to be executed. Even so, one would think that an hour and a half would be too little time to tell the stories of five romances with any kind of depth, but an effective script teamed with Alexander Korda’s excellent directing and a brilliant Charles Laughton in the title role produced a film that neither feels rushed nor overstuffed. One would perhaps also be tempted to think it would be hard to create an endearing portrait of someone who had two of his own wives put to death, but this film succeeds even at that. This film is best enjoyed for the excellent acting and directing. As is often the case with “historical” films, several liberties and short cuts have been taken with facts of history. Off the top of my head, I can think of no more than maybe half a dozen international fictional films where all or most of the action is set in my native Sweden. Therefore, it is extremely fascinating that out of this half dozen, two were made in the same country (England) and in the same year (1937). One is Dark Journey, which I reviewed almost exactly a year ago. The other is the subject of today’s post, namely Moonlight Sonata. Other than the (coincidental?) connection with Sweden, however, these two films are radically different. While Dark Journey is a spy thriller with nationalistic and political overtones, Moonlight Sonata is a romantic drama, or perhaps rather melodrama, with very little thrill at all. At the center of the story we find the young Swedish man Eric Molander and his beloved Ingrid, whom he wants to marry. She, however, is uncertain about her feelings, and when fate intervenes in the shape of a forced landing with a passenger aircraft things take some rather unexpected turns. The plane carries two passengers, the pianist Ignacy Jan Paderewski and the businessman Mario de la Costa. While waiting for transportation from the island where the plane went down, they are invited to stay at the baroness Lindenborg’s mansion, where Eric and Ingrid also live. But not everything is the way it first seems, and the visitors affect their surroundings, each in different ways. Paderewski, who plays himself in the film, was a very interesting person. He was a world famous composer and concert pianist, but he was also a Polish nationalist and politician. In 1919, he became one of Poland’s first prime ministers when the country was reformed after World War I. 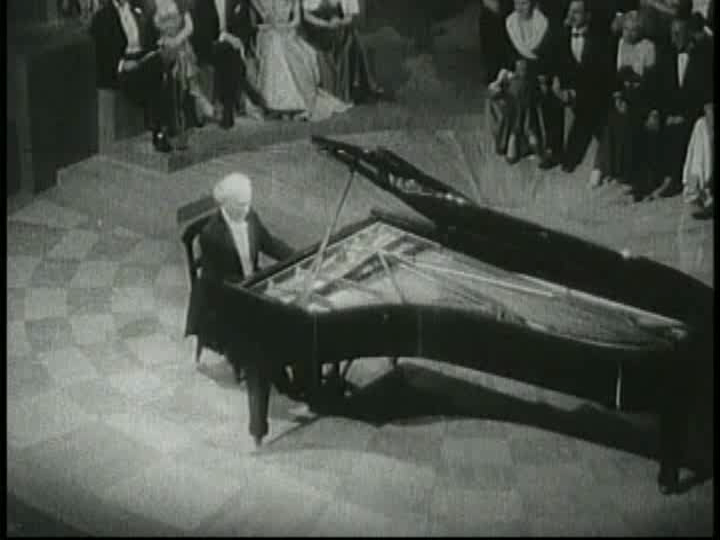 But in this film, made only a few years before his death, all focus is upon his skill and fame as a pianist. 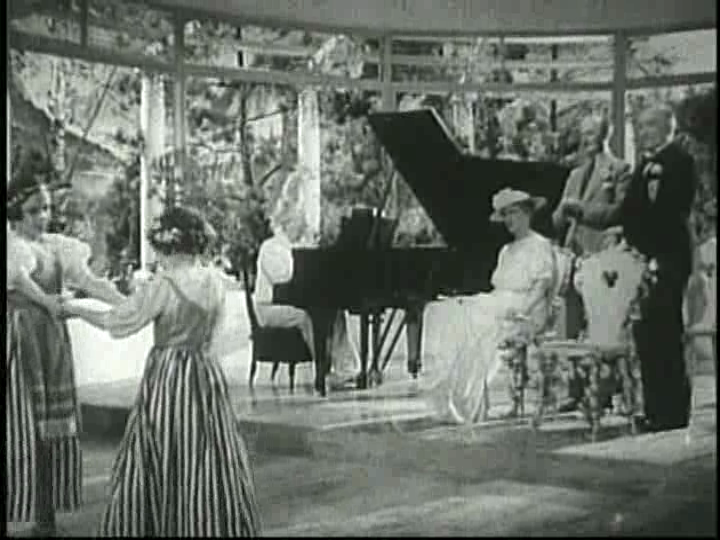 The film, in fact, begins with a very long concert performance. If, like me, you enjoy good classical music, then this is one of the film’s absolute highlights. From a dramatic point of view, however, it detracts from the film’s story. There are some annoying logical glitches in the story. For one thing, according to IMDb, the downed plane shown in the film is a de Havilland 84 Dragon. It is highly unlikely that any such planes were ever used to travel between Stockholm and Paris, but if they were, it would have been completely impossible to make the flight non-stop. At least one refuelling stop would have been necessary, probably in Hamburg. So, why does de la Costa ask if they have yet reached Paris after he wakes up? Perhaps not surprisingly, there is no Swedish family of Lindenborg barons. There is, however, a Danish manor by that name, owned for generations by the counts von Schimmelmann. Perhaps that was the inspiration behind the name? Let’s face it: Moonlight Sonata is a boring film about boring people doing boring things for boring reasons. Yet I do not hesitate to recommend it, because even though it is not very good, it is still interesting. This film is best enjoyed by lovers of classical music. Paderewski’s piano playing is impressive and deserves to be remembered. In addition, the film is interesting for its image of Sweden and Swedes.